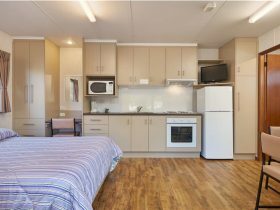 Gundagai is a classic Australian country town situated on the Murrumbidgee River between Sydney and Melbourne, amidst one of the most picturesque rural areas of the Riverina. 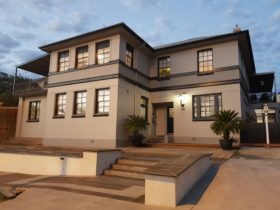 For visitors it offers the chance to stop, unwind, explore the beautiful rural setting, meet the friendly locals and gain a wonderful insight into Australia’s pioneering past. 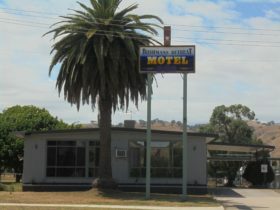 The town is immortalised through poems and songs such as: ‘Where the Dog Sits on the Tuckerbox’ and ‘Along the Road to Gundagai’, and is perhaps most famous for its monument to the early pioneers, the iconic Dog on the Tuckerbox, situated on the Hume Highway, five miles (eight kilometres) north of Gundagai. Take a leisurely stroll through Gundagai to see some of the town’s oldest buildings, don’t miss the Prince Alfred Bridge, Australia’s longest timber viaduct built in 1866. 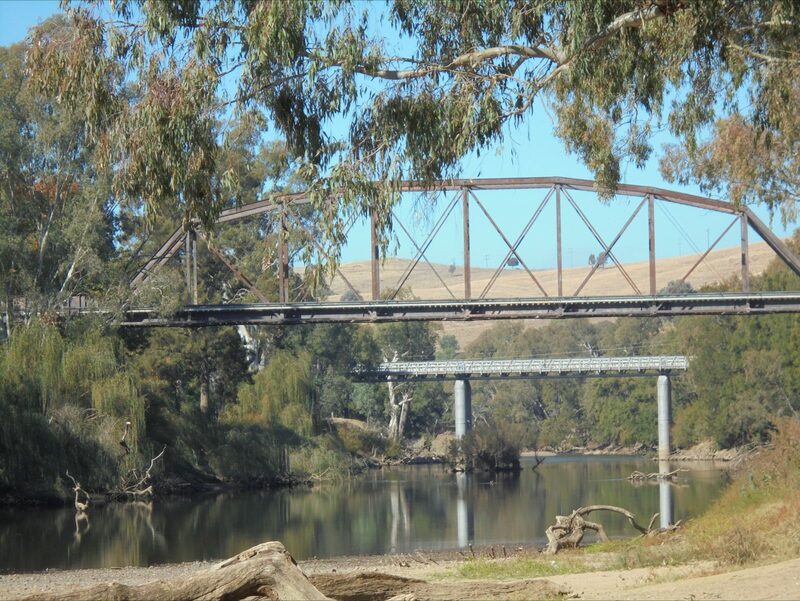 Try fishing on the Murrumbidgee for trout, or admire the view from the lookout atop Mount Parnassus! 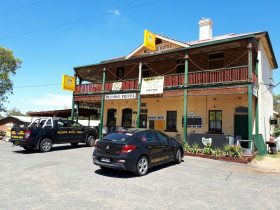 Gundagai is an Urban Location area within the local government area of Gundagai in New South Wales, it is located approximately 314kms from the capital Sydney and extends over an area of 47.269 square kilometres. Gundagai has a recorded population of 1676 residents and is within the Australian Eastern Daylight Time zone Australia/Sydney. 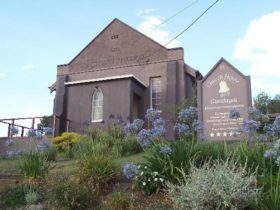 If you are planning a visit to Gundagai we’ve put together some of the things you can see or do while you are here. These include, places to stay, tours and attractions, some upcoming events and places where you can grab a meal. Go ahead, try one of the buttons above. Every destination has something worth seeing so start exploring… If you know Gundagai and think we’ve missed something, let us know and we’ll share it here.